In the time between World War I and World War II there were many groups advocating for peace. The Biosophical Institute was one such group, focusing on character and peace education with the ultimate goal of world peace (beginning with the individual). Dr. Frederick Kettner was a pioneer in character and peace education, founded Biosophy (the doctrine of intelligent living based on character qualities), and established The Biosophical Institute where individuals worked together to develop their inner peace nature. He was in the forefront of advocating for a secretary of peace in all governments and a department of peace in the United States. He also wrote plans for the establishment of a peace university based on character and peace education. The Biosophical Institute inspired a paradigm shift from a culture of conflict to a culture of peace. In its heyday, the “group,” as it was known to members of The Biosophical Institute, had an office and a community in New York City, and offices in White Plains, NY, Washington D.C., Chicago, and Cleveland. Meetings were held three to four nights a week and consisted of study groups focusing on the philosophy of Benedict Spinoza’s, inspirational teachings from different religious texts, and other relevant writings. Dr. Frederick Kettner gave weekly lectures about Biosophy, and weekend social gatherings with music, plays, or dancing attracted public participation. A Spinoza group at City College, New York was started by Dr. Kettner in the 1920s as a precursor to the Biosophical Institute. New York was a magnet for social idealism. Will Durant, Felix Adler, and Upton Sinclair were among those Dr. Kettner interacted with in these early years. He would invite these thinkers to meet with the Spinoza group. Jiddu Krishnamurti addressed the group in 1927 and later that year Dr. Kettner met the Sufi leader, Inyat Khan who asked him to start a Sufi center in Brooklyn. Some students in the Spinoza group met at Dr. Kettner’s home, but Sunday public lectures were given at the Sufi Center or the Arcane School run by Alice Bailey. The Spinoza group led to the creation of the Spinoza Institute of America in 1928. The following year, the Spinoza Institute was invited to have its headquarters in the Roerich Museum by Nicholas Roerich, an artist and spiritual leader, who was deeply impressed by the group’s work in character development. In 1930, the group became known as the Spinoza Center of the Roerich Museum, meeting at 310 Riverside Drive. In 1932, Dr. Kettner’s book, Spinoza the Biosopher, was published for Spinoza’s Tercentennial Anniversary celebration. A special Tercentenary issue of the magazine of the Spinoza Center, Spinoza Quarterly (previously known as Spinoza in America) was published. Dr. Kettner also gave a series of radio talks on the “Biosophical Conception of Man”. 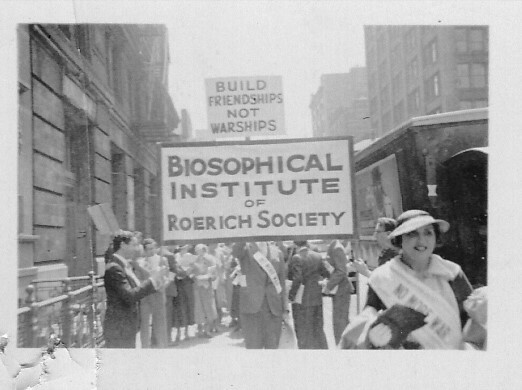 After five years at the Roerich Museum, the group moved in 1935 to 23 W. 87th St. in New York where the Spinoza Center of the Roerich Museum became known as the Biosophical Institute and the Spinoza Quarterly became the Biosophical Review. “I thought I would take the word Life – in Greek it means Bios – and the word truth or wisdom [Sophia] and put them together.…Biosophy is a new science, the science of the inner life. Years ago I came to the conclusion that man is not only what he seems to be outwardly, needing only food, clothing, shelter and amusement, but he is a soul” (p. 35). Dr. Kettner began to realize the need for a new kind of education in order to develop the peace nature within man. Throughout the history of the group, there were several iterations of communities whose members lived in close proximity in order to share meals, conversations, and work toward the ultimate goal of peace. The Declaration of the First Spinoza Community was announced and signed on November 24, 1932 in New York. The Spinoza Community was described by one of its members as an ethical experiment, an endeavor to achieve in reality the noblest standards of unselfishness. S/he described the work of the community as character development. One of the members of the Spinoza Community also lived in other Biosophical communities throughout the years including a community of women on 925 West End Ave. After she married, she lived in a community of couples in the Hotel Dauphin in 1939. Activities community members participated in included evening meetings held throughout the week. One evening was devoted to Spinoza’s Ethics, another to the study of great religious writings such as the Old and New Testament, the Bhagavad Gita, Laotze’s Tao-Teh-King, and the Buddhistic Way of Virtue, among others. There were cultural evenings, as well, containing great works of music, poetry, dramatics, and educational subjects or current social issues. On Sunday evenings, Dr. Kettner held a lecture series on the subject of Biosophy that lasted for many years. The meetings are described in detail in the magazine of the Institute. Following the main program the individuals would gather in small groups to discuss further the evening’s subject or to help each other find deeper meaning in their individual problems. This was the very core of the biosophical work. “The biosophical group became a laboratory for the science of Biosophy….It became clearer to Dr. Kettner, as he continued his studies and observations of human behavior, that peace on earth would be impossible as long as the character of men remained warlike and unchanged. He further realized that the key to humanity is the individual. The individual, therefore would have to be educated to contact the source of peace within himself before peace could become a reality in human society” (pp. xiv, xi). Because this was an experiment, Dr. Kettner employed different ideas including encouraging individuals to travel to other cities to start centers for Biosophy. In the 1940’s several group members left New York and started a center in White Plains. After World War II others went to Cleveland, Chicago, and Washington. Members of the group moved from one center to be near Dr. Kettner or because they felt more in harmony with the people in that city. The last group remained in Cleveland after Dr. Kettner passed away there in 1957. 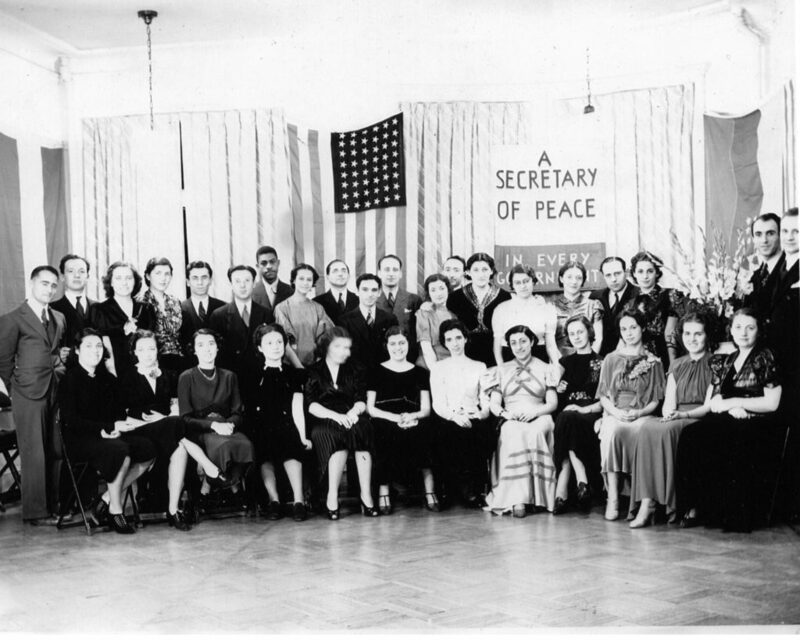 Dr. Kettner, with support from the members of The Biosophical Institute, worked on activities for peace including a plan for a secretary of peace. The members collected over 41,000 signatures on a petition that Dr. Kettner planned to present at the Inter-American Peace Conference in Argentina in 1936. The trip to Argentina was a success in other ways. Dr. Kettner started a biosophical group in South America, learned Spanish and translated his poems and some lectures into Spanish. He also wrote a book and started a magazine in Spanish that he had hoped would be a cooperative endeavor with the group in New York. Another significant product of the Biosophical Institute worked on was a peace film, screened at the 1939 New York World’s Fair. The film, introduced by Dr. Kettner, focused on character and peace education. Featured in the film were Nobel prize winners: Albert Einstein – Physics, Thomas Mann – Literature, Harold C. Urey – Chemistry, Arthur H. Compton – Physics, Nicolas Murray Butler – Peace. Others included Secretary of State Cordell Hull, former president of Czechoslovakia Dr. Eduard Benes, and Ohio Senator Robert A. Taft. 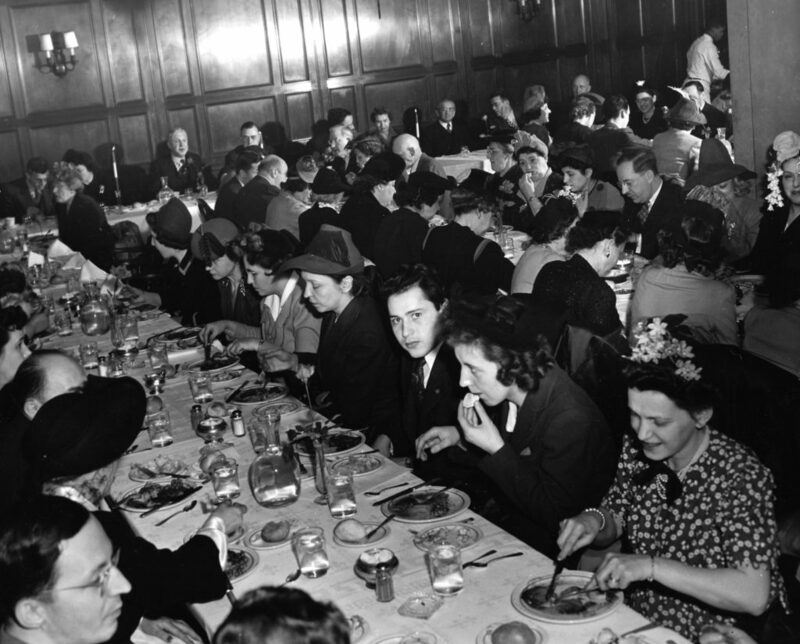 On March 25, 1957, Dr. Kettner gave his last lecture at a luncheon for a church group of businessmen at the Manger hotel in Cleveland. On March 28, he passed away. On April 5, 1957, a week after his passing, a letter arrived from the State Department inviting him to come to Washington. It was a reply to a letter he had written to President Eisenhower asking to see him about the idea of creating a peace university in America. On the morning of September 16, a committee from The Biosophical Institute met with the public affairs division of the State Department. Government officials were receptive to the presentation of Dr. Kettner’s peace university idea. The group left them a “Proposal for the establishment of the first peace university in America” based upon ideas, research and education experiments conducted by Dr. Kettner. In addition to the peace university, Dr. Kettner’s proposal included a plan for 15 activities that support a lasting peace. The offices in New York, Washington, and Chicago closed just prior to Dr. Kettner’s death. Those in Cleveland remained and met often based on the principles that Dr. Kettner espoused. In the years since, all of the original Cleveland group members have passed on. The children of the group members remain, all working for peace in themselves and in the world, as a testament to the influence of one man, his spiritual message, and the peace movement he started. The ramifications of Dr. Kettner’s life and work are far-reaching in the field of peace education, and thus, the Biosophical Institute, through a generous donation from one of the Cleveland group members, continues to support peace education and a culture of peace through its work as a foundation. A radio interview with Dr. Kettner. (1958). The Biosophical Review, 13 (1), 35-40. Kettner, F. (1954). Biosophy and spiritual democracy: A basis for world peace. New York: Vantage Press.